When Jim and Chris moved from Oklahoma to New Jersey they didn't hesitate to call Rob at Sentry Equipment to help them with their new restaurant. Sentry Equipment helped with marketing, sales, equipment and more. When Ray and family wanted to fulfill their lifelong dream of opening an ice cream shop they turned to Sentry Equipment to guide them through the entire process from start to finish. Hear about Ray's story and how Sentry Equipment helped him achieve his lifetime dream. A new partner with Sentry! We helped Sarah set up a great little store in Mullica Hill NJ. Cherry On Top specializes in creating craft, personalized ice cream recipes that keep customers coming back all year long. The Dairy Palace has been in business for 60 years and is one of Sentry Equipment's most loyal customers. Known far and wide for their milkshakes, the Dairy Palace has seen multiple generations of families come back season after season for frozen dessert treats. 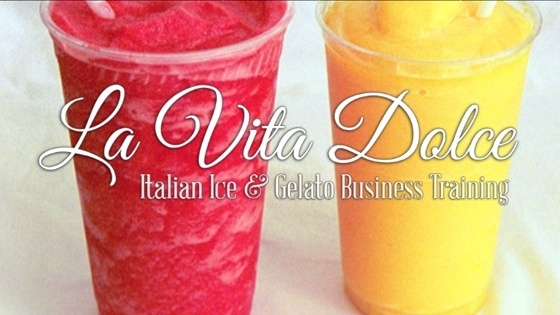 John currently owns 3 Rita's Water Ice Franchises in the PA and NJ area and has over 25 years experience in the frozen dessert industry. Yogo Factory is at the forefront of the frozen yogurt boom in the Northeast US market. At their peak there was over 50 Yogo Factory stores operating with Sentry and Electro Freeze. Dennis has operated all concepts within the Electro Freeze line from soft serve to gelato to Italian ice to hard scoop premium ice cream. Dennis has both owned retail stores and used the line to wholesale his products to the market. Gary has been in the ice cream business for over 40 years operating an extremely high volume store - Magnifico's Ice Cream - in Central NJ. Gary's store sells only soft serve and Gary is currently featuring 8 machines to keep up with his volume. Marla is from Electro Freeze equipment and is an expert in frozen dessert machine marketing and the Electro Freeze product line. In addition to working as a vendor partner with A. Panza and Sons serving hundreds of frozen dessert stores, Diane owned and operated her own ice cream business for close to 30 years. Chris owns Margate Dairy Bar - a fixture for ice cream and desserts in Margate NJ. Bruce is the owner and operator of Sprinklz in West Berlin, NJ. Bruce not only features soft serve but uses the Electro Freeze brand to make his own brand of homemade Italian ice. John owns two successful ice cream stores in NJ and features all Electro Freeze equipment. Sentry Equipment continues its relationship with Johnny and has been an integral part of the success of his stores. Veronica has recently opened a new location and we have helped her with everything from the layout to the menu development and training. David is a representative from Electro Freeze and has been in the frozen desert industry for many years. He is an expert in the Electro Freeze product line and creates relationships with distributors and customers all over the United States. "It is no coincidence that all the top water ice and ice cream stores in the Delaware Valley chose Sentry for all of their equipment needs, including water ice batch freezers and soft serve ice cream machines. And just as they chose Sentry, so did La Vita Dolce. Along with state of the art equipment, Sentry also offers incomparable service to its customers. So, when you think Italian Water Ice and/or ice cream, be sure to put Sentry at the top of the list."